Hi Petter. 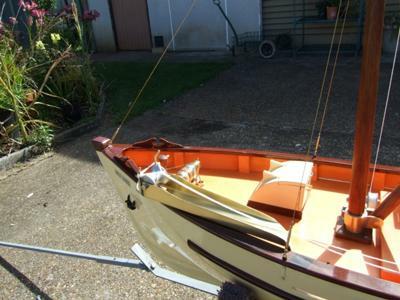 Thought you might like a few photos of my boat now the painting is finished. You might be able to use them on your site. 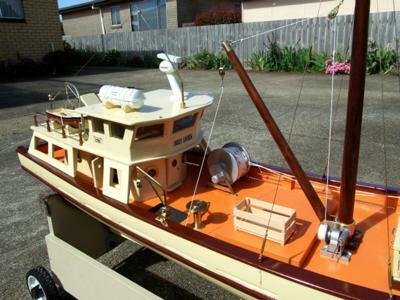 Really nice - I like the wheel house and deck fitting. I have three I have as well. Looks great! It's hard to appreciate the size just by looking at the pictures, but she sure looks stunning. Well done! P.S. 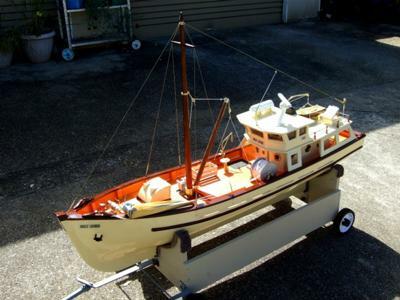 More pictures of Gilbert's Scratch Built Trawler if you follow the link.